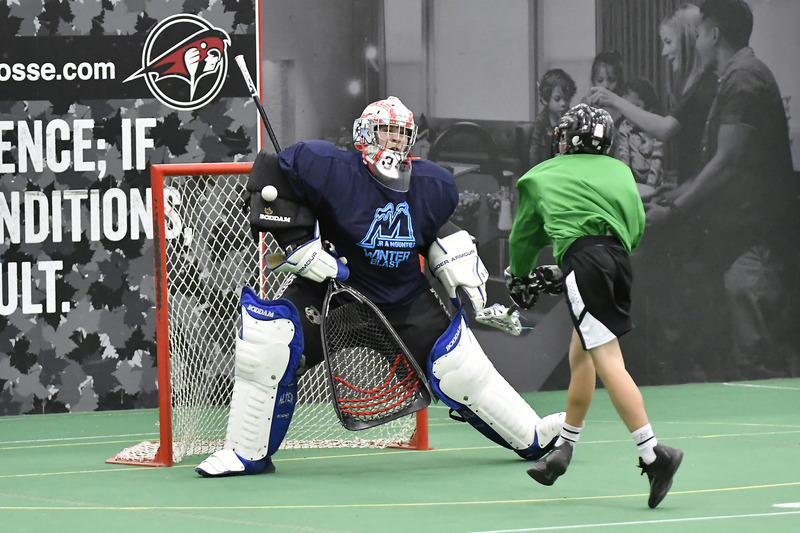 The seventh annual Winter Blast Tournament hosted by the Calgary Mountaineers Junior A Lacrosse Club took place in Calgary on December 22nd. Thirty-seven teams in six divisions competed in the unique one-day tournament, all for a chance to win the grand prize – a giant bag of candy. The tournament is structured as a round-robin, with games lasting 25 minutes and featuring four on four play. Players pick their own teams, which consist of nine runners and a goalie. Registration features a boy’s division that starts at the novice age group and runs through to midget. In the girl’s division, there is a peewee/bantam category and a midget category. All games are refereed by current and former Mounties. It was a day full of great moments, including a shootout in the novice finals. A large crowd gathered to watch the end of the game including a number of Mountie players who stood on the field and cheered on each player as they took their shot. After eight thrilling rounds, Team Williams won the candy, but in the true spirit of the tournament the winnings were shared with the players from the defeated Team Zarsky. The event grows each year and it’s now a major fundraiser for the club. Along with entry fees, the club also sells hats, t-shirts and hoodies. The Mounties attribute the success of the tournament to a rise in attendance at their own regular season home games. 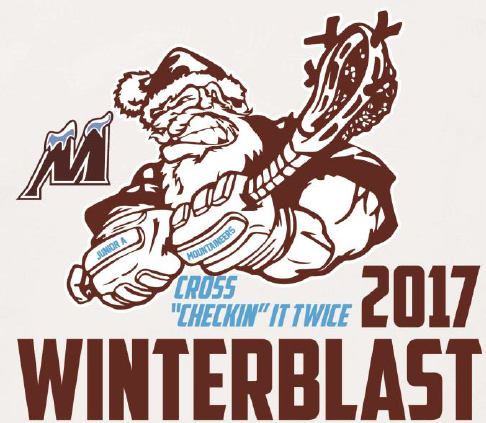 There has also been an unexpected benefit from hosting the tournament for the past seven years: The Mounties’ coaching staff discovered that the majority of their current roster has played in past Winter Blasts, so they now use the tournament as an opportunity to evaluate kids at the midget level. Winter Blast registration opens in November. For more information, visit www.jramounties.com or follow them on Twitter @jramountieslax.